London: World famous British scientist Stephen Hawking, modern cosmology’s brightest star known for his groundbreaking work with black holes and relativity, died today at his home in Cambridge aged 76. Hawking’s children, Lucy, Robert and Tim said in a statement: “We are deeply saddened that our beloved father passed away today. He was a great scientist and an extraordinary man whose work and legacy will live on for many years. His courage and persistence with his brilliance and humour inspired people across the world,”. He once said, ‘It would not be much of a universe if it wasn’t home to the people you love.’ We will miss him forever. For Hawking, the search was almost a religious quest — he said finding a “theory of everything” would allow mankind to “know the mind of God”. A complete, consistent unified theory is only the first step: our goal is a complete understanding of the events around us, and of our own existence,” he wrote in “A Brief History of Time. His early life was chronicled in the 2014 film “The Theory of Everything,” with Eddie Redmayne winning the best actor Academy Award for his portrayal of the scientist. 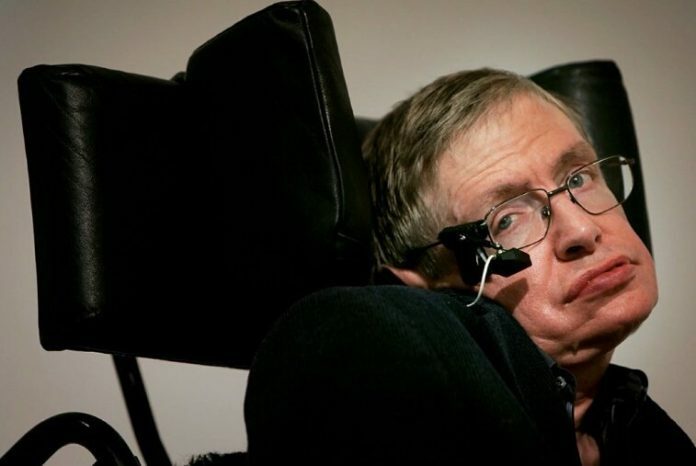 The film focused still more attention on Hawking’s remarkable achievements. Some colleagues credited that celebrity with generating new enthusiasm for science.